Ty Lawson looks as good as anyone from this perspective, regardless of position. As we put this data together, we werent surprised that Ty Lawson excelled from a situational perspective, as he did play for the most potent offense in all of college basketball, but we didnt expect him to look this good. He ranks first in a number of key categories, including overall FG% (52%), Points Per Possession [PPP](1.13), pull up jump shot FG% (47%), and %shots he was fouled on (16.1%). Though his teammates did a lot of scoring as well, Lawson functioned seamlessly as a complementary scorer. Looking past his efficiency as a shooter off the dribble, he was second in catch and shoot field goal percentage at 48%. From a purely statistical sense, no player on this list scored more efficiently than Lawson. We thought that UNCs transition offense might have given Lawson a decided advantage over some of his counterparts in terms of efficiency, but that wasnt entirely true. He did get 10% more offense in transition than any of the other players we looked at (an outrageous 38.6%), but his transition PPP of 1.2 is the same as his PPP in spot up situations and not as far above the average as his PPP in pick and roll situations (1.19 PPP, +.29) or on isolations (1 PPP, +.16). Lawson was an incredibly prolific transition player (which is quite an advantage in itself todays NBA), but he was comparatively better in other areas as well. When you consider that he only turned the ball over on 13.8% of his half court possessions (5th best) and can drive left and right equally well, it seems like Lawson could be an excellent offensive fit on virtually any team, regardless of tempo. The star of this game, and of the entire tournament really, was again Ty Lawson. He managed to draw an outrageous 18 free throws, helping him reach 21 points despite a poor 3-10 shooting night from the field, while also dishing out 6 assists compared with just 1 turnover, and picking up 8 steals. Lawson came out looking incredibly poised right off the bat, running his offense steadily, pushing the ball in transition, looking extremely calm, and providing a quiet, yet soothing influence on his teammates that helped them run away with this game very early on. Michigan State put quite a bit of pressure on him in various points of the game, and Lawson never looked rattled in the least bit, always maintaining his dribble and only committing one turnover as mentioned. What was on display more than anything tonight was Lawsons incredible ability to find seams in the opposing teams defense in which to penetrate before they are able to set up, as he was constantly probing with his dribble and not hesitating in the least bit to turn on the jets and blow by his matchup, which in turn forced them to foul. His sheer combination of speed, strength and explosiveness is unparalleled at the college level, and should continue to translate to the NBA level as well, where almost any kind of contact on the perimeter is forbidden. In the second half Michigan State seemed to do a much better job getting back in transition, in part because they just werent throwing the ball away on every other possession like they did in the first. Lawson was forced to operate in the half-court far more, and clearly showed some of his limitations in this much-slower pace, as he really struggled to create good shot opportunities for himself or others, even settling for a couple of bad pull-up jumpers, which is clearly not his strength. He obviously needs to improve his ability to operate at different speeds on the court, as he isnt quite able to take advantage of his excellent athleticism and ball-handling skills as much as youd hope against a packed-in defense like Michigan States. Likely the best point guard in the country on the season to this point, Ty Lawson has taken his game to the next level, with his production and efficiency rising across the board, despite not seeing an increase in minutes. The 5'11 point guard has put the offseason's distractions behind him, and is making it look like it was a no-brainer decision to come back to school, given the way his game has seemingly improved. On the offensive end, Lawson is playing the best basketball of his career, showing the same strengths he's always had, but also filling in some of the weaker areas to make a much more complete game. The first area of improvement to note is his three-point shooting, as he's surprised many by showing flashes of NBA three-point range while shooting 50% from behind the line, albeit on just under three 3-point attempts per game. It's very possible that his increase in efficiency is a misnomer from the small sample size, but his shooting in general has improved over time (as evidenced by his FT%), and coupled with the improved confidence in his shot, it's very likely that his 3-point shot is becoming a legitimate weapon. Looking at his shot, it is important to note that he is effective with it in a very limited way, only really showing success either when spotting up or pulling up from a static motion, not being able to create his own shot off the dribble and not showing the capability of hitting for consistency when moving either right or left. His shot still definitely has some areas for improvement in mechanics as well, with a slow-releasing, low-arcing trajectory that is not always consistent with extension or follow-through. On the bright side, his form is much closer to textbook on his free throws, so it's not unreasonable to expect it to carry over to his in-game shooting over time. Hes doubled his rate of makes from 3-point range from his freshman to junior seasons, while increasing his percentages 14% thus far. His true shooting percentage currently ranks second amongst all point guards, and would rank tops of any point guard in the last four drafts if he maintained the same rate through ACC play. While Lawson has shown some prowess spotting up from deep, his mid-range game is still highly suspect, attempting very few shots from inside the arc that aren't lay-ups, showing little effectiveness with pull-up shots or floaters. In terms of attacking the basket, Lawson has arguably taken his game to the next level here as well, showing the same prowess in the transition game, but also looking a bit more comfortable attacking off the dribble in the half-court, making excellent utilization of hesitation and in-and-out dribbles in combination with his footwork and body control, getting into the lane with ease. As a point guard, Lawson has been exceptional thus far, boasting an outstanding 4.87 assist to turnover ratio on 6.6 assists per game, with his assists per 40 pace adjusted good for 1st in our database, his PPR also ranked 1st and his A:T ratio good for second best. The biggest thing to notice here is how Lawson has taken his half-court game a lot closer to his full-court game, showing much more comfort in the half-court, using good court vision to find open shooters and cutters across the court, while taking advantage of the respect opponents give him on drives, making a lot of quick drive-and-kicks. Playing on the best team in the country obviously helps in this regard, but one of the main reasons they are so good has a lot to do with Lawson, and the numbers clearly back that up. Defensively, Lawson is very much the same player, a huge disruptive force on the weak-side (3.7 steals per 40 minutes pace adjusted, ranked 2nd in our database), and capable of being a highly effective man-to-man defender when he locks down, but often shows an inconsistent stance in that area, while his size is also a disadvantage. If Lawson continues playing the way he has, it'd be extremely surprising to see him pass up the draft this season, where he should be firmly in lottery discussions, and a very attractive pick. In addition to the skills and physical abilities he's shown over his 2+ seasons in college, the learning curve he's shown this season and the experience hes garnered should be a huge boost to his stock, as many could foresee him to continue improving in many areas. He should be about as close as one will get to being ready to step in and run an NBA team from day one, which is definitely an important factor. After a promising freshman season, Ty Lawson didnt disappoint as a sophomore, with his production and efficiency remaining the same or improving in virtually every category, even while playing at less than 100% health as he had ankle problems all season. Following his strong season, Lawson declared for the draft and got off to a good start at the Orlando pre-draft camp, but things took a turn for the worse after that, as he had multiple setbacks in the process, including an injury, an underage drinking and driving arrest and a missed workout with the Denver Nuggets. Eventually, Lawson decided to pull out and return to school. Looking at Lawsons statistics, the first thing that jumps out is his very big improvement in FT%, up from 69% to 83%. His 3PT% has remained steady at 36% in his two seasons, but considering his improvement at the line, it wouldnt be surprising if his long ball starts to show improvement this season. As a shooter, Lawson only really excels with his feet set, looking uncomfortable shooting off the dribble, especially when going left. Even when spotting up, Lawson has a few things he could work on, though, namely holding his follow through more frequently and keeping his form consistent in general. His low release point also can hurt him when hes closely guarded by a defender. Lawsons definitely at his best playing in transition, with the majority of his offense coming there, where he can make full use of his excellent speed and ball-handling abilities in North Carolinas extremely up-tempo system. He can break presses single-handedly and push the ball forward to create high-percentage shots for himself and others. He does a good job keeping his head up and shows the ability to make tremendous passes, but he can also force the issue at times. Lawson can try to do too much in his dribble-drive game as well, but he shows great proficiency in attacking the basket, even at his size. Hes definitely more comfortable knifing through defenders in transition than in the half-court, but hes capable of using his craftiness and physical tools in either setting. At the rim, Lawson shows very good body control and ability to draw contact, finishing on a high percentage of shots, but he does show some trouble in the half-court against weak-side defenders, and further developing his floater should be a priority. Lawsons mid-range game in general is a big problem area, due to him not being a good shooter off the dribble. As a point guard, Lawson is one of the countrys best, and as previously mentioned, hes definitely at his best pushing the tempo. He does a good job in the half-court as well, though, showing good ability in pick-and-roll situations, using his speed and acceleration to split defenders, while hes also a very good post entry passer. He definitely has room for improvement, though, with his shot creation abilities in the half-court. Defensively, Lawson shows good foot speed and has good hands as well, helping him to 1.6 steals per game, but he has a ways to go as a man-to-man defender. Hes inconsistent with his stance and doesnt always show the best reflexes, leading to him being beat off the dribble. His size also is of no help here, as even when he stays in front of his man, hes prone to being shot over in the lane, and his size certainly doesnt help getting through screens either. In the long run, coming back to school could turn out to be the best thing for Lawson, and his offseason troubles couldve been a blessing in disguise if he can put them behind him. This years draft class is projected to be weaker than last years, which could help Lawson go from a likely late first-rounder to a potential lottery pick, especially if he can make some strides with his game. Despite the overall weakness of the class, the class does seem to have an abundance of point guards, though, so Lawson will definitely have to stay atop his game. In the lone game he participated in at the NBA pre-draft camp, Lawson was the top performer the camp had to offer before pulling out with a supposed hip pointer. He likely felt comfortable enough with his performance in camp to withdraw from the last three days of competition, probably at advice of whoever is assisting him as he navigates his way through the draft process. Not usually a strong finisher at the basket, Lawson did an outstanding job of using his body when in the lane to finish. He controlled the tempo of the game to a tee, able to push the ball down the floor as fast as anyone in this camp, and also displaying the maturity to slow things down in a half court setting. Even though he did not post big assist numbers for the camp, the sophomore did an excellent job of tallying "hockey assists", dishing the ball off to an open man who had an assist opportunity on the next pass. His pure playmaking skills were on center stage all camp long, where he was hands down the top point guard the camp had to offer. It only took a moment of watching him on the court to see just how much better he is than any other point guard in attendance, and the complexion of the entire game changed as soon as he entered the court. While blessed with great strength and quickness, Lawson is not a very good defender due to his tendency to gamble excessively on the defensive end. His lack of size and length hurts him on this end especially, where he desperately struggles to contest bigger guards' shots. Outside shooting is another part of Lawson's game that has been a concern over the years and didn't appear to improve much in the drills and games in Orlando. Still shooting more of a set shot, he struggles mightily when shooting the three from NBA three point range, and could still use a lot of improvement from mid-range if he hopes to keep defenders honest at the next level. Given this draft's lack of depth at the point guard position, Lawson has done everything in his ability to solidify his standing as the third pure point guard selected in this year's draft. Private workouts will be crucial in whether or not he lands in the first round, although there is some talk that a guarantee from Denver may have been what convinced him to withdraw from the draft. Not having officially signed with an agent so far, the option remains open for a return to Chapel Hill for his junior season. Ty Lawson was a cut above everyone else on the floor here, showing incredible quickness taking an outlet pass and getting his team out in transition, and fantastic court vision finding open teammates on the move. He made the game very simple for all of his teammates, as all they had to do was run with him and make sure their hands were ready for the pass. He got to the rim and finished only semi-well (his size hurts him here), converting 4 of 10 shots for 10 points and 4 assists, and also played terrific defense on Lester Hudson. He slowed down in his second stint of playing time in the second half, but the strong impression he needed to make was already felt. We'll be watching him in the drills tomorrow to see how he shoots the ball, something that is very important for him. He had not stood out prior to this game at all. Theres probably no better time to evaluate Ty Lawsons contribution to North Carolina than right now, after sitting out the last four games with a high ankle sprain and giving us a chance to see just what he means to his team. North Carolina has struggled in every game hes missed so far, losing one to Duke, needing overtime to defeat Clemson at home, and then struggling to defeat some of the worst teams in the ACC on the road against Florida State and Virginia. Its pretty clear by now that they miss Lawson, and any talk of him just being a product of their system has been proven to be incorrect. From what we can tellhe is actually the key to the way they play. Look no further than the fact that they score 92.1 points per game with Lawson in their lineup, and only 83.4 points without him. Comparing the prospect we saw last year and the one in front of us today, we clearly see some progress made between his freshman and sophomore years. Lawson is scoring at a much better rate, but is also doing so while being significantly more efficient. Hes getting to the free throw line better, and has improved his percentages from the stripe dramatically, nearly 14%. His 3-point percentages, assists and turnovers have stayed virtually the same, and hes currently #2 in the country in Pure Point Rating. With that said, Lawsons strengths and weaknesses still look to be about the same. There still isnt anyone that can stay in front of him in transition, and his ability to push the ball up the floor and slice his way through traffic remains unparalleled at the collegiate level. His body control, ball-handling skills, and incredible speed in the open floor are what make him the terrific prospect he is, and are the main reason why North Carolina is the second highest scoring team in the country. 43% of Lawsons offense comes in transition, according to Synergy Sports Technologys quantified player reports. Thats an incredibly high numberfor comparison, Derrick Rose stands at 23.3%, DJ Augustin at 17.8%, Eric Gordon at 21.9%, O.J. Mayo at 18.3%, Jerryd Bayless at 16.8%, and Darren Collison is at 25.3%. Lawson not only pushes the ball incredibly well after his team makes a stop, he also has an uncanny ability to get his team into transition after a made basket, which is extremely difficult. He does more than just get out into the open floor, though, he also finishes extremely well at the hoop (despite his lack of size), thanks to his terrific strength and toughness, and just how open he is by the time he gets there. Synergys quantified reports tell us that he converts on 72% of the shots he takes at the rim, which again is better than all the other point guards we have in our first round. Rose converts on 52.3%, Augustin 48%, Gordon 61%, Mayo 43%, Bayless 65%, and Collison 55%. More than just a scorer, though, Lawson also has outstanding court vision to find the open man, and is quite unselfish doing so. In the half-court, Lawson is getting better, but still isnt quite as good as you might hope. His 3-point shot is still not a consistent enough weapon, although he can hit shots from behind the arc with his feet set if he has time to get it off, due to his slow, low release point. He is pretty streaking doing so, though, and does not have much of a mid-range game to compensate for that either. If Lawson cant get to the basket (as lethal a weapon as his right to left crossover is), his teams offense tends to bog down--as he isnt the most natural improviser youll find at the collegiate level. Hell sometimes get out of control and take excessive chances with the ball, overpenetrating or dishing out risky passes. More than any other point guard in this draft possibly, Lawson is a guy that needs to be drafted into the right offensive system, with a coach that is fully committed to taking advantage of his strengths. Defensively, we find mostly a mixed bag. On one hand, Lawson is very physical, strong, with superb lateral quickness, capable of staying in front of almost any point guard and being very pesky contesting shots. He also does an excellent job getting in the passing lanes, and will ignite some one-man fast breaks all by himself every game by picking up a couple of steals. On the other hand, Lawson is not consistent at all in his effort on this end of the floor, lacking some focus, taking plays off from time to time, and not showing the greatest awareness on this end of the floor when he isnt just pit-bulling his man into coughing up the ball. As much credit as he deserves for being the engine behind arguably the best offense in the NCAA, he also deserves his fair share of blame for the fact that North Carolina is nowhere near as good defensively, often because of his lack of effort and concentration on this end. NBA coaches are already often biased against smaller playmakers because of the way that bigger guards can just shoot over the top of them (as well as the fact that they limit their options defending the pick and roll), and Lawson isnt doing them any favors at the moment. It will be interesting to see whether Lawson picks things up as the season progresses and his team moves into NCAA tournament play, where his team will need him at his best on both ends of the floor. Hell need to get healthy first, though. Ty Lawson lived up to the hype during his freshman season with North Carolina. The most highly touted point guard in his high school class, Lawson made an immediate impact on Roy Williamss squad, spearheading one of the most explosive offenses in the country. Physically, Lawson is undersized, even for the point guard position. Standing somewhere around 511, he is sometimes limited in his offensive abilities because of taller defenders. Lawson makes up for his lack of size, though, by being arguably the fastest player in the country. Few if any defenders can consistently stay in front of Lawson when he builds up a head of steam coming down the floor. As would be expected of a player as fast as Lawson, the majority of his offensive game is built around the transition game and getting to the basket. A one-man fast break, Lawson is fantastic at leaking out from the pack as well as taking long rebounds himself the length of the court. Even when he isnt scoring, Lawson puts constant pressure on defenses simply because he forces them to sprint back down court every time he touches the basketball. He has the ability to pass the ball accurately while at full speed, often threading the needle spectacularly in the process. Where he needs to improve is his decision making skills. Lawson often tries to do too much on his own, taking on two or three defenders at once on his way to the basket, and still lacking that middle gear that all great point guards in time develop. While he certainly has the ability to finish in traffic, he does need to do a better job at recognizing when he should pull up on the break and set up the offense. In a half court offense, Lawsons game doesnt change very much, still being most effective when driving to the basket. With his ability to beat defenders off the dribble, Lawson is constantly setting up teammates with scoring opportunities, as shown by his 5.6 assists in 26 minutes per game last season. He has the entire arsenal of passes in his repertoire, but is clearly at his best when slaloming between defenders and finding the open man with a pretty bounce pass. Despite the breakneck speed he plays at, he doesnt turn the ball over as much as you might thinkracking up 2.57 assists for every 1 turnover he throws. The reason for that has plenty to do with his ball-handling skills. He does a stellar job at changing speeds, and has a fantastic hesitation move that he uses often to get to the basket. Lawsons size does come back to hurt him when he is unable to get by defenders, often forcing him to fade away or attempt out of control, acrobatic shots. Despite being one of the best players in the country at getting into the lane, Lawson doesnt do a great job drawing fouls, averaging less than three free throw attempts per game last year. It would be beneficial for both Lawson and North Carolina if the sophomore improved his perimeter shooting this season. While by no means a poor outside shooter (35.6% from beyond the arc last year), Lawson didnt shoot very much from the perimeter, particularly off the dribble. He has an ugly flat-footed jumper that needs time and space to remain effective, and there are concerns about how this part of his game will translate to the next level. He will likely need to revamp his shooting mechanics down the road to avoid defenders backing off and daring him to shoot from behind the arc. Defensively, Lawson does a solid job but isnt exactly a lock down defender. Taller guards can shoot over him, but his biggest problem comes when opposing teams run his man off screens. This was particularly evident in North Carolinas match up with Michigan State during last years NCAA Tournament. The Spartans ran Drew Neitzel off screens for the entirety of the game, often leaving Lawson in the dust. With several key players not returning for the Tar Heels this year, Lawson will be asked to be an even bigger contributor offensively this year, a task he is more than capable of handling. With his speed and athleticism, if can improve his decision making and finishing ability, we could be talking about Lawson as an All-American at the end of the season. If one were to evaluate where things went wrong in the monumental collapse North Carolina suffered over the last 10 minutes of regulation and 5 minutes of overtime, a good place to start would probably be with their freshman point guard. The Heels shot an incredible 1/23 from the field over the last 15 minutes of the game, only to see Lawson hit a meaningless 3-pointer with the clock running out in overtime and UNC down by 14 points. Their swingman package of Wayne Ellington, Reyshawn Terry and Danny Green could not hit the side of the barn almost throughout this gameshooting 6-30 from the fieldwhich obviously didnt help matters much, but it would have been nice to see Lawson showing more leadership skills as his team absolutely fell apart. Even beyond the pitiful display North Carolina closed out the game with, Lawson never really got into his groove here. He looked extremely hesitant throughout, afraid to take responsibilities, afraid to make a mistake, and not patient at all against Georgetowns half-court defense. After starting off the tournament red-hot from behind the arc, his perimeter shooting came back down to earth, hitting only 1 of his last 7 attempts from this range. A 5-11 guy shooting flat-footed 3s might work sometimes at the collegiate level, but against longer and athletic defenses (not even thinking about the NBA), that just isnt going to fly. Hes going to have to improve his perimeter shot greatly to come anywhere close to reaching his full potential as a slasher, and that means changing up his shooting mechanics all together most likely. Lawson can get into the lane as well as anyone at the NCAA level, but in this game he didnt quite know what to do once he was there. He must develop better tools to finish around the basket to compensate for his height, whether its a capable floater, a pull-up jumper from mid-range, or preferably both. Being able to do neither right now, he is too reliant on his (superb) court vision looking for risky passes in traffic. Sometimes that yields spectacular, highlight reel results, and sometimes that results in a turnover or convoluted offensive possession. In the few times he did try to score on his penetrations he either had his shot rejected or altered badly. Lawson had his moments from time to time, the kind weve described numerous times his year already, but this will certainly not be a game he will want to remember in a few years from now. That shouldnt make people forget what he accomplished during this entire season, but it does show us that he certainly still has a long ways to go before hes ready to play heavy minutes in the NBA. While it was business as usual for Tyler Hansbrough tonight (meaning he was his usual phenomenal self), the North Carolina game gave us an opportunity to witness a breakout performance from a freshman guard that has steadily been improving all season long until he finally reached the point of eruption. Ty Lawson had an almost flawless game against the Michigan State Spartans, showing arguably the best NBA potential of any point guard weve seen in the tournament thus far. In other words, the most impressive performance as far as this years NBA draft is concerned might belong to Ty Lawson after what he did tonight. Lawson was terrific right from the start, knocking down two 3-pointers to start off the game to go along with a layup and a couple of assists. He ran North Carolinas half-court sets efficiently, feeding Tyler Hansbrough with excellent post-entry passes all game long, and taking matters into his own hands when things bogged down by breaking players down off the dribble and exploding into the lane for a contested layup. Simply put, no one had any chance of staying in front of him when he put his mind to it. As usual, though, in transition was where Lawson was at his absolute best. He pushed the tempo of the game constantly from the opening tip until the final buzzer, slaloming his way through traffic and making a number of gorgeous passes to reward the teammates that managed to stay with him. One particular play that really showed off his phenomenal court vision was an incredible bounce pass (to Deon Thompson) threaded between two defenders while driving at full speed. This is the type of play that only a handful of point guards in the NBA can make when you begin to consider just how quickly his feet were moving when he threw the perfectly angled pass. Lawson showed off another wrinkle to his game that we just dont get to experience while watching any other point guard in collegethe art of igniting a fast break after a made basket. He was just a blur in transition with his incredible speed, footwork and ball-handling skills, and remarkably enough only turned the ball over once in 36 minutes despite the cutthroat pace the game was played at, not to mention just how much the ball was in his hands during that time. Defensively, Lawson played a solid game as well, getting the tough task of defending Michigan States best player, Drew Neitzel, who did what he could considering the talent disparity in this game, but still finished the game shooting just 9-27 from the floor. Hes the type of in your face pressure defender who hounds his man and wont let him out of his clamps unless a screen is set on him, something that Michigan State did repeatedly with a fair amount of success. Throw in the fact that Lawsons perimeter shooting has been clicking in this tournament so far (hes 5-7 from 3-point range over two games), and were really beginning to talk about a guy who is quickly establishing himself as a lottery pick should he decide to come out. North Carolina will need to advance another round or two to ensure that possibility, but right now he is clearly the second best point guard prospect in this draft, with the gap between him and Acie Law closing with every 3-pointer he knocks down and round his team advances. Headed into Saturday's game against Arizona, everybody knew the name Ty Lawson. He was a McDonald's All-American point guard who signed early with North Carolina, generally considered to be the best floor general in his graduating class. People might have seen flashes of his ability to put a defense on edge simply by touching the ball, the near-blinding speed in which he can change directions, or the 2 to 1 assist to turnover ratio in the box scores. But up until Saturday, Lawson was a complementary player, one talented player in a virtual sea of talent in Chapel Hill. Then came the trip to Arizona, where Lawson literally ran America's fastest fast breaking team right into the ground on their own home court. Going up against vastly improved senior Mustafa Shakur, Lawson blazed up and down the court, creating fast break opportunities for himself and for teammates seemingly at will. If he wasn't dribbling straight through defenders in the open court, he was threading the needle on high degree of difficulty cross-court passes or exploding into the lane for acrobatic finishes at the rim. While this was a statement game for the entire team, it was Lawson who dictated the message, to the tune of 18 points, (8-14 shooting, 8 assists [to 1 turnover], and 4 steals. So what kind of player is Ty Lawson? The resemblance to UNC predecessor Raymond Felton is uncanny, and a good place to start. Both players have that stocky, running back-ish build, mentality and explosiveness. Lawson certainly displays Felton's trademark ability to create for his teammates at spectacularly high speeds, to the point where he will often turn an opponents' made basket into a fast break. His open-court passing ability is something rarely seen in a point guard, and the way he can keep an entire team of defenders on edge is an invaluable asset to any team. And where Felton was rarely one to create his own offense in the halfcourt, Lawson will attack the basket fearlessly and finish his own drives in a variety of ways. He is strong enough to create through contact, and his explosive first step makes it difficult for even the best college defenders to keep in front of him. Of course, Lawson isn't quite as tall as Felton, and also shares a few of his weak points. There will always be a few mistakes when playing at such high speeds. Felton was never immune to this, and Lawson will leave everybody scratching their heads at times as he learns how to play at different speeds. Lawson hits the 3-pointer at a respectable clip, but his shot is nearly flat-footed and will require some serious work to become effective at the NBA level. Teams don't play Lawson honestly unless they absolutely have to, though he may be a bit ahead of where Felton was at this stage as a shooter. In an open-court game like Saturday's, nobody in the country is going to keep pace with Ty Lawson. He is a once every couple of years type of talent, capable of changing a game with his mere presence. But in more of a half-court dominated setting, such as North Carolina's game against Georgia Tech the prior weekend, Lawson's weaknesses become more pronounced. Without space to get around defenders, his speed becomes marginalized and his decision making comes more into focus. And this is where Lawson will need to improve the most between now and when the NBA calls. If Saturday's performance against Arizona was any indication, that could be approaching very quickly. Ranked as the top point guard in the country coming out of high school, lofty expectations were cast on Tywon Lawsons shoulders entering the season. Right now, he is as advertised, with an all-around skill set that youd expect from an elite point guard prospect, but a tendency to try to do too much on the court. Throughout the Preseason NIT., Lawson proved that he has a very bright future ahead of him. Lawson displayed some fantastic playmaking skills, but will need to play more controlled basketball in the future. Off the dribble, Lawson showed a lightning quick first step, being able to use one dribble to draw the defense and kick out to an open teammate. Lawsons shooting stroke has also improved since high school, but hes still streaky, and only made one of his three attempts against Tennessee. He also displayed his court vision while making some very nice passes. In the half court offense, he moved the ball around very well, and made entry passes to the big men when they had position. There were a couple occasions when his teammates were unable to get a play going, so Lawson exploded to the basket for a layup. Lawson played out of control at times, and it led to 4 turnovers against the Vols. He tries to play transition basketball when the opportunity isnt there, and it leads to drives in traffic with no place to go. On the defensive end, Lawson can be pesky at times, though he has a tendency to come out of his stance and there were numerous occasions where this left him chasing after opposing point guards. With the position North Carolina is in, Lawson doesnt really have the chance to play through his mistakes on the floor. They have another point guard in Bobby Frasor who can run the offense very smoothly and without many mistakes, so Lawsons minutes will fluctuate throughout the season. He will certainly get better as he gets more high-level college basketball underneath his belt. Lawson displayed his blazing speed and quickness from the beginning of the game, and neither of the International point guards could keep pace. Lawson started the game by driving the lane and getting two free throws, and then hitting a ten footer in the lane. He hit 3 shots in the 10-15 foot range throughout the game, which is a good sign that he might be developing a mid-range game. Lawson played unselfishly throughout most of the game, and made some very nice passes in traffic. He isnt the ideal point guard for a half court offense at this point, but will find the right person in transition every time. When the international team instituted a full court press, Lawson passed the ball to the open man right away, and only used his speed to beat the press when he absolutely needed to. Towards the end of the game, Tywon started getting a little more out of control with his decision making, but was able to get to the free throw line with frequency when he had no place to go with the ball. Lawson displayed many skills throughout the game that will translate well to the next level. His ability to finish around taller players is great for somebody his size, and his court vision and quickness allow him to create looks for teammates. Tywon Lawson should step in and play right away for North Carolina next season, and he is definitely a guy who could make the jump to the NBA after a couple years of developing a mid-range game and refining his point guard skills. Known for his great quickness, ability to change speeds, and ability to finish in the paint, Lawson didnt have a great McDonalds game. Many of his shots near the hoop were altered by taller players, and he just couldnt seem to get anything to roll his way on the rim. Lawson did show flashes of very good passing ability, as his court vision is clearly one of the biggest assets he brings to the floor. Though he did finish with 5 assists throughout the game, he forced it into large crowds in the paint too often, and turned it over 3 times with no place to go with the ball. The biggest concern for Lawson going into North Carolina will be his outside shooting ability, and his ability to guard larger point guards. Though improved throughout his senior year, Tywons long range shot remains very streaky, and he has little mid-range game to back it up. To help him finish over larger players, he will need to develop some type of floater or runner from about 8-10 feet away from the hoop. Lawson is listed at 5-11, and will be tested on the defensive side of the ball in college. He remains a nice prospect, and can step in and run things right away for the Tar Heels. Lawson sold me today on being without a doubt the best point guard in the country. While Bobby Frasor is having a very solid freshman season at UNC, Tywon will certainly give him a run for his money to see who starts in the 06-07 season. To put things simply, Lawson is a game changer and will be an immediate contributor next year. Tywon combines the ability to score himself with great vision and playmaking skills. It is truly rare that you can find a point guard who can play both the scoring point guard role as well as the set up man role, and Lawson is one who is able to do both. As mentioned before, his quickness is eerily reminiscent of former UNC point guard Raymond Felton. Tywon is a little smaller than Felton was coming in, but is already a far better shooter then the current Bobcat was in high school. Another thing that Roy Williams will absolutely love about Lawson is that he can really defend and therefore should wreak havoc on opposing ACC point guards. Where there is good, there is bad, and there is some bad with Lawson. While the UNC recruit can knock down the three ball, he has very little lift on his shot, literally shooting with all arms. His mechanics could use some work, but Im sure the North Carolina coaches will help him with this. Tywon also over-dribbled a few times, putting himself into tough situations to pass out of. He would often put himself into tough situations for a player of his size to get out of, which led to a few of his uncharacteristically high amount of turnovers and leads us into Tywons most glaring weakness: His size. Tywon is listed anywhere between 510 and 60, depending on who you talk to. He looked about 511 to me, which as we all know, is far less the average size for an NBA point guard. Even undersized point guards such as Jameer Nelson and T.J. Ford measured out at 60. 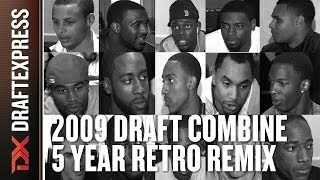 The only point guards in recent memory drafted in the first round under 60 that I can think of are Nate Robinson this past year and Craig Speedy Claxton in 2000.